The main theme is ‘Agriculture’. This year Amnesty International offers a special prize to the best cartoon with theme ‘Human Rights’. • The digital works has to be sent in JPEG format with a minimum resolution of 300 dpi (2480 x 3543 pixels). • You can sign up your participation from 1 July 2017. 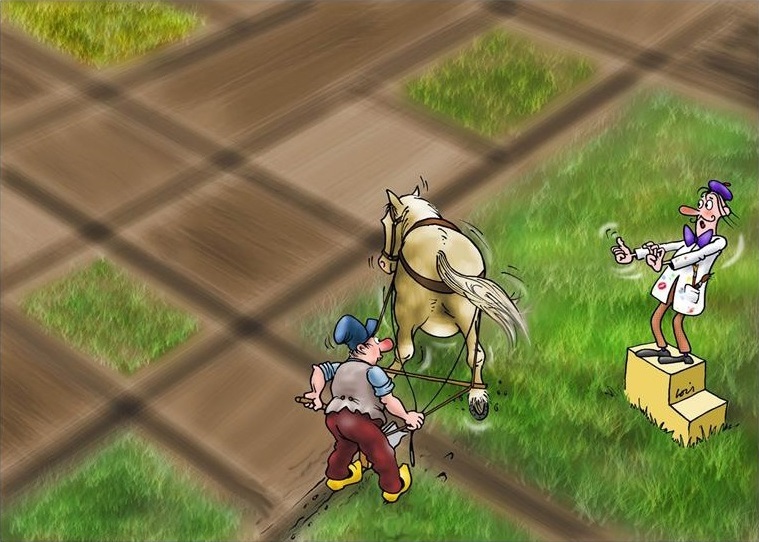 • The originals of the rewarded cartoons will be asked and must be sent to Community Olen, Dorp 1, 2250 Olen, Belgium within 2 days after the request of the organization. 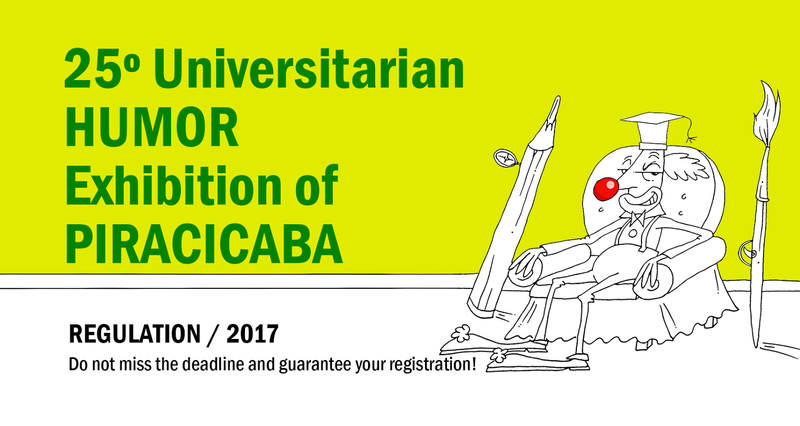 The deadline is 12 September 2017 at 12.00 AM midnight. 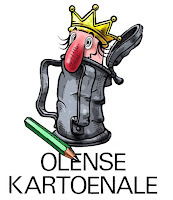 The entry form you can find on www.olensekartoenale.be where you also can upload your works. 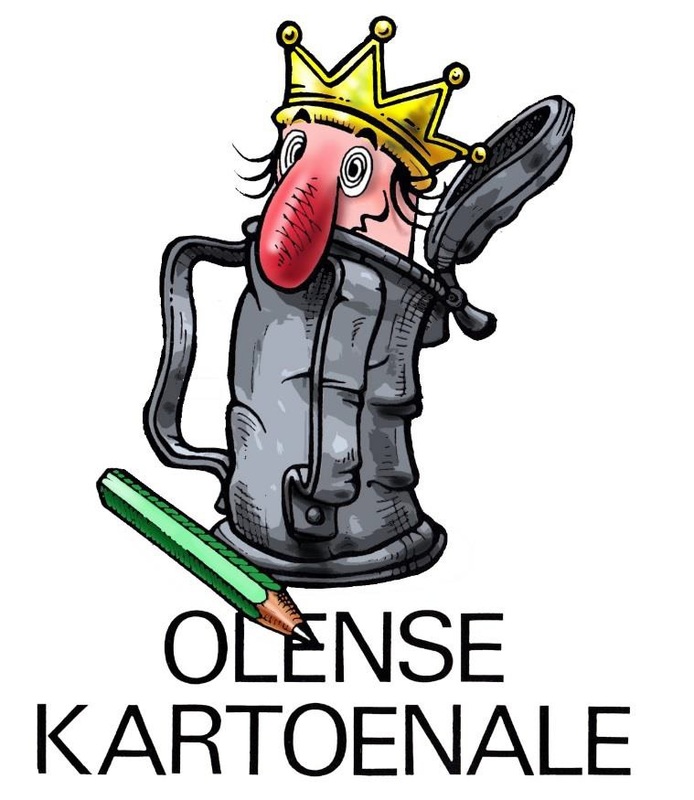 Do not sent your works to kartoenale@olen.be! The prize ceremony will take place at Friday 10 November 2017 at approximately 20.00 h in the council room of the town hall of Olen, Dorp 1, 2250 Olen. Every participating artist will be welcome on that occasion. Only the winners are personally invited. o Friday 09.00 – 12.00. Since man noticed a connection between fallen seeds and the growing of crops, some 9.000 years ago, the possibilities to influence and improve this process have increased. So today we have arrived at the stage of genetic manipulation. However, this isn’t a mere positive evolution. More can be less: depletion of soils, deforestation, pollution by toxic additives, market related crops that are not cultivated in the need for food supply rather than financial purposes. Agriculture has ushered a global revolution since the dawn of the human history. What can we expect from it in the future? Fields on Mars, mushrooms from the Moon? FIRST.- To pass the public announcement of the 14th International Graphic Humour contest on new Technologies –Barakaldo Hermes Prize 2017, which is an official announcement regulated by the guidelines established in the regulations of the Barakaldo Cultural Competitions, published in the Official Biscayan Bulletin on February 12th, 2010. SECOND.- The budgetary limit for the afore mentioned is set at four thousand five hundred Euros (4.500 €) charged against the Budget allocation 00700 33000 4810300, to face the obligations derived from the prizes to grant, in compliance with rules established under Article 7 of the regulation, prizes awarded will be as follows: First Prize – 1.500 €, Second Prize –1.000 €, Third Prize – 800 €, Fourth Prize – 700 €and Fifth Prize – 500 €. 1. OBJECT Sketchers will send in a scene depicting graphic humour relating to new technologies which impacts on daily life (INTERNET, BIOLOGY, SPACE, TELECOMMUNICATIONS, MEDICINE, ETC...) and which allows the citizens to reflect on new spheres of scientific progress. It can also be vignettes depicting geek attitudes generated by users of social networks or taking part in Web 2.0. 3. CATEGORY AND FORMAT Scenes and characters must be the personal creation of the author and unpublished. Work can be submitted either in black and white or in colour. Work will be prepared as a Din-A4 (210mm x 297mm) dimension, either horizontally or vertically. Resolution will be not less than 300 dpi. 4. LANGUAGES Works may be labelled in Spanish or Basque. It is permissible to enter humorous scenes without text written for those artists from different linguistic and geographical backgrounds. 5. PRESENTATION The participants will register in the web page of the contest and will insert later on their work in format JPG. 6. SUBMISSION PLACE AND DEADLINE Works containing the author’s details should be sent exclusively through the web page: http://www.barakaldo.org/portal/web/cultura/hermes before October 14th 2017. 7. 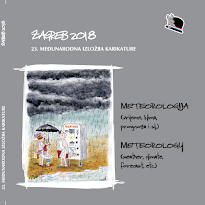 ONLINE AND PAPER EXHIBITION AND CATALOG The presentation of works will entail the authorization to the City of Barakaldo to use the images for merely expository purposes and, or possible writing contests on the illustrations. The exhibition of the works does not mean that financial benefit will accrue to the authors of the illustrations. 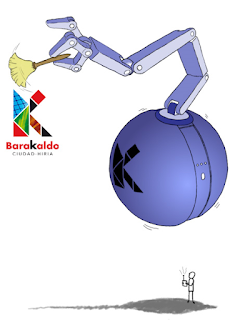 The winning artworks and other selected illustrations will be exhibited in the Virtual Museum established for that purpose, by the City of Barakaldo. This city launched a specialised website as an expression of the different subjects on which contestants have been providing creative illustrations with an humorous consideration. The publication of the works will not imply any retribution to the authors of the illustrations. 8. PRIZES The awarding of the Hermes de Barakaldo prize carries a financial reward amounting to 4.500 Euros and is divided into five categories: First Prize: 1.500 €, Second Prize: 1.000 €, Third Prize: 800 €, Fourth Prize: 700 € and Fifth Prize: 500 €. After the winners are notified individually, and by email, of the resolution, the winners of theses prizes will have a maximum three months term to supply their details to the awarding organisation in order for the prize to be transferred to them. Should the time period of three months since the first communication have already elapsed, without the relevant data having been supplied, it is understood that the winner of the prize will relinquish his/her right to the relevant prize and the corresponding illustration will likewise be withdrawn from any medium the local council has published it in. Document written and signed by the bank to certify that the above data correspond to the awarded person. 9. JURY Any of the prizes may be declared void if none of the works come up to the required minimum qualitative standards. 10. SELECTION CRITERIA Prizes will be awarded according to the following criteria: a.- Quality and artistic relevance of the work: 50 points. b.- Adherence to the theme of the Competition and to the humorous language pertaining to it: 30 points. 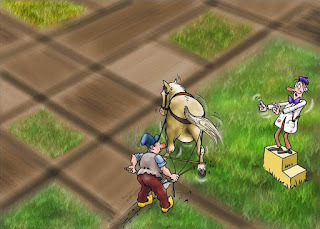 c.- Social and cultural impact of the cartoon in relation to the thematic aspect set out regarding new technologies and their implications for everyday life: 20 points. 11. FURTHER POINTS Participation in the competition implies acceptance of the rules and regulations as already laid down in the current Decree. FOURTH.- Prizes will be awarded in accordance with the competition rules system, through comparisons of the works presented, and through the establishment of priority criteria amongst them, in conformity with the already outlined criteria, and the awarding of the corresponding financial amounts in compliance with the same with limits as stated in the official announcement, not exceeding the available credit. FIFTH.- In order to analyse and evaluate the works presented, a Qualifying Panel or Jury will be convened, composed of Mrs. Nerea Cantero Gurtubay, Councillor for Culture, Education, Basque Language, Youth and Prevention of Drug Addiction, or who occupies this position at the time. She will assume the title of President of the said panel, and Mrs. Amaia Ballesteros, Mrs. Judit Allende, Mr. Juan García Cerrada, as people of renown prestige in the world of illustration and graphic humour and Mr. Juan Manuel de Los Santos Aranaz, a Technician in the Culture Department, who will take part as Secretary. SIXTH.- The maximum allowable timescale for the resolution and notification of the prizes’ awarding procedure will be two months, starting from the closing date for the submission of entries. SEVENTH.- All interested parties will receive notification under terms outlined in Article 58 of the Law 30/1992, dated November 26th, of the Law Regulation of Public Administrations and Common Administrative Procedures. EIGHTH.- in case of any appeal against the decision, which exhausts the administrative procedures, an optional administrative reconsideration appeal may be lodged with the Council President to set aside the current resolution within a timeframe of one month starting from the day after the announcement of the results, alternatively an Administrative Reconsideration Appeal can be entered at the Court for Contentious Administrative Proceedings by virtue of the distribution of authority outlined in Articles 8 and 10 of the Law 29/1998, dated July 13th, which regulates the Contentious Administrative Jurisdiction within a timeframe of two months, also commencing, like the previous, on the day after receipt of official notification. 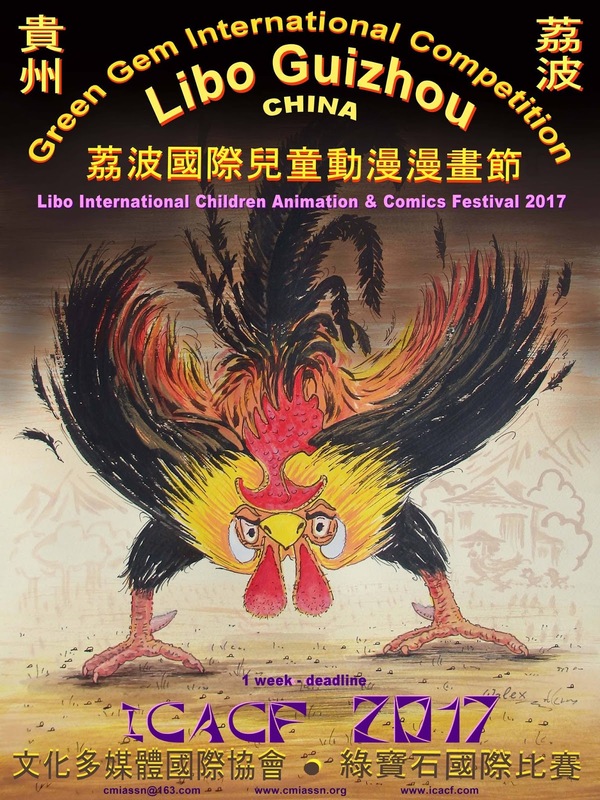 “Libo International Children Animation & Comics Festival 2017” (ICACF 2017)——Green Gem International Competition organized by Culture & Multimedia International Association is an open competition. c) Participants can also send electronic edition (scanned copy) with a minimum size of “300 dpi” in “.TIFF” or “.JPG” to cmiassn@163.com. b) Organizers plan to award the artist with the best debut and will give him/her the opportunity for an individual exhibition at the Gallery which will be included in the 2017 program. a) Artwork submitted for competition will be judged by an International Jury. The Jury will award the certificate to the finalists. b) Submission finalists would be included in the album. And the certificates and albums or presents (if the album is not released on time), will be sent to the finalists. All results will be announced on July 2, 2017. Website: www.cmiassn.org ; www.icacf.com . Poster added 26 June 2017. 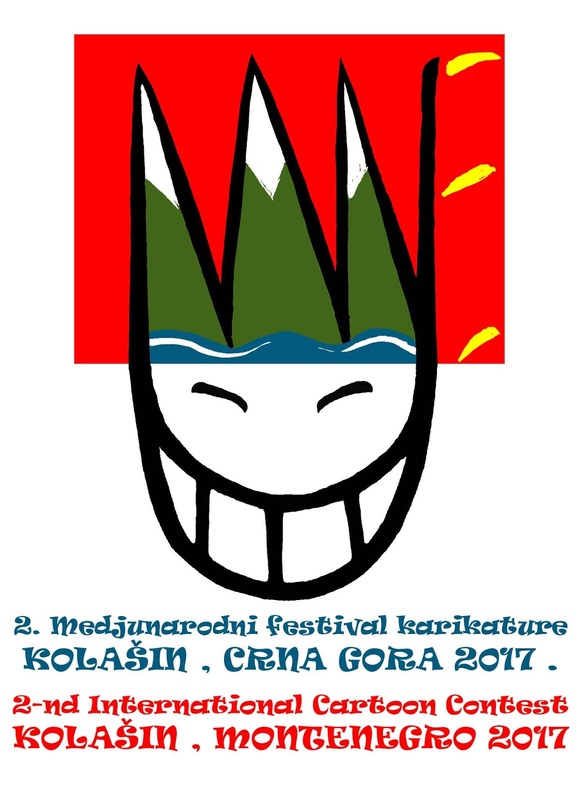 I would like to inform you that Cartoon festival "Kolašin, Montenegro 2017" has announced The Second International Cartoon Contest. Therefore, we carry on with the festival in Kolašin, Montenegro, after ten year break. Despite having far fewer resources this time, we are more optimistic and therefore we hope that this festival will last and will become a traditional one. We start with modest means but we are convinced that the festival will become more significant and notable in years to come. Well, may this new beginning be happy! You shall send two of your works you consider to be the best. 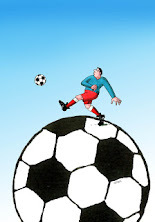 Cartoons can previously be published or rewarded and should be creative, funny and amusing. Works have to be graphically convenient for printing on T-shirts. The participants may send a maximum of 3 works to compete. 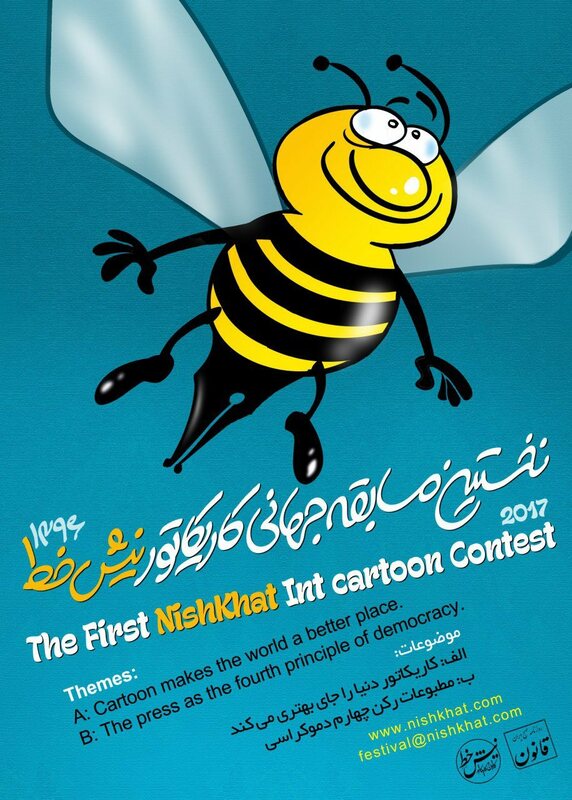 The international jury will choose the cartoons. THE DECISION will be published on 15th of June 2017, on all cartoon websites. Winners will officially be announced with the beginning of July and the announcement will take place in the Cultural Center in Kolašin. The event will be held in Iasi, Romania, from 25 to 28 May 2017 and the theme for Satirical Graphics is "General Humor – Humor without words". - Other awards from local institutions and private persons. Winners will be announced in time to attend the Festival and received the prizes. Organizers will reimburse transport costs, food and accommodation. 1- INSCRIPTIONS: April 5 to June 16, 2017. 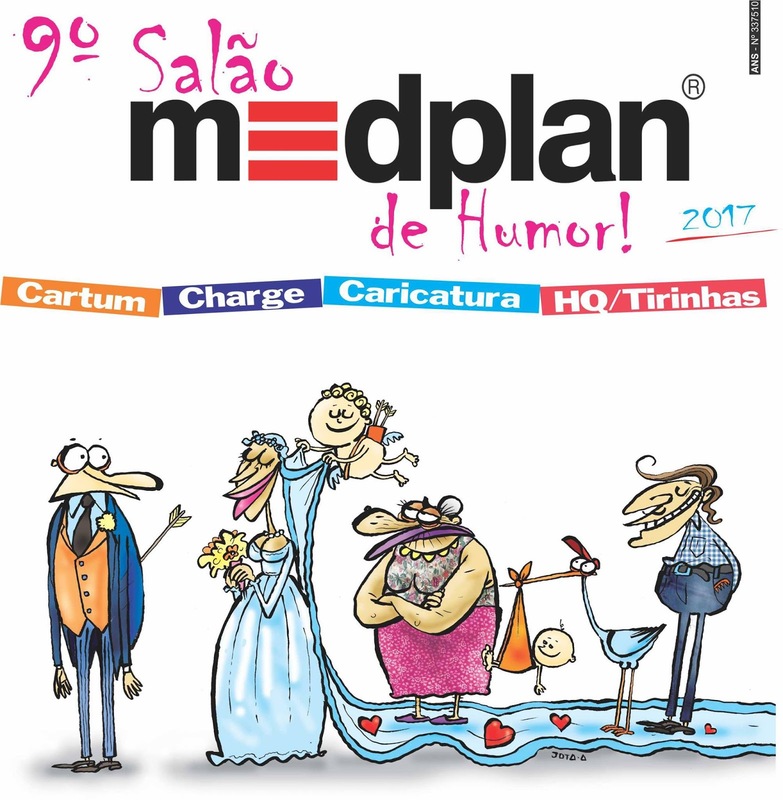 The 9th Salon Medplan de Humor is open to all graphic artists, who can enter works that have not been awarded until the closing date of the entries, in the modalities cartoon, caricature and comic strips. The comic strip should have only one page. If you choose the comic strip, the artist can put up to 5 comic strips on the page. The opening of the hall will be on July 30, with the announcement of the winners. Each artist can register with a maximum of 5 (five) works in the format 30X40 cm and using any technique in the three categories: cartoon, caricature and comic strips. The full name of the author, address, e-mail, telephone number, ID number, CPF and bank account must be written on the back of each drawing or in the e-mail. Second place: R 3,000.00 (three thousand reais). 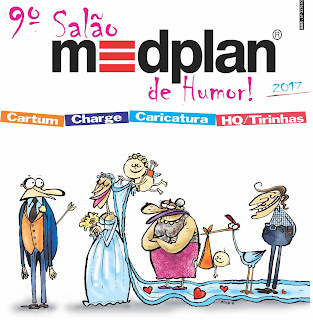 Medplan Caricature Prize: R 2,000.00 (two thousand reais) for those who make the best caricature. Free theme. Medplan Award for Comics / comic strips: R 2,000.00 (two thousand reais) for those who make the best comic / comic strip. Free theme. The best works will be part of the traveling exhibition of the 9th Salon Medplan de Humor. The awarded works will be considered acquisitive and will become part of the Medplan collection. The works will not be returned. Medplan employees, their relatives, or anyone involved in the organization may not participate in this meeting. Simple sign-up automatically sets up participant agreement with all terms. 1- Cartoon makes the world a better place. 2- The press as the fourth principle of democracy. Contest Album will be printed. The 27nd edition of Humour at ... Gura Humorului, the International Festival of Cartoon and Humorous Literature will be held between 16th and 18th of June, 2017. 1. The Edition theme: THE ART OF MANIPULATING PEOPLE. 2. Original works are accepted, in digital format, created after January 1st, 2017, which were not published and submitted or awarded prizes to other competitions. Bucovina, Piaţa Republicii, nr. 2, 725300 - Gura Humorului, judeţul Suceava, România. 7. The participants are required the following documents enclosed with their works: the completed entry form attached, a brief CV and a personal photography/cartoon self-portrait of minum 6x9 cm (on paper) or 710x1065 pix. (digital format). 8. The prizewinners will be notified by June 14th, 2017 to be present for the Awards Festivity held on Sunday, June 18th, 2017. 1. 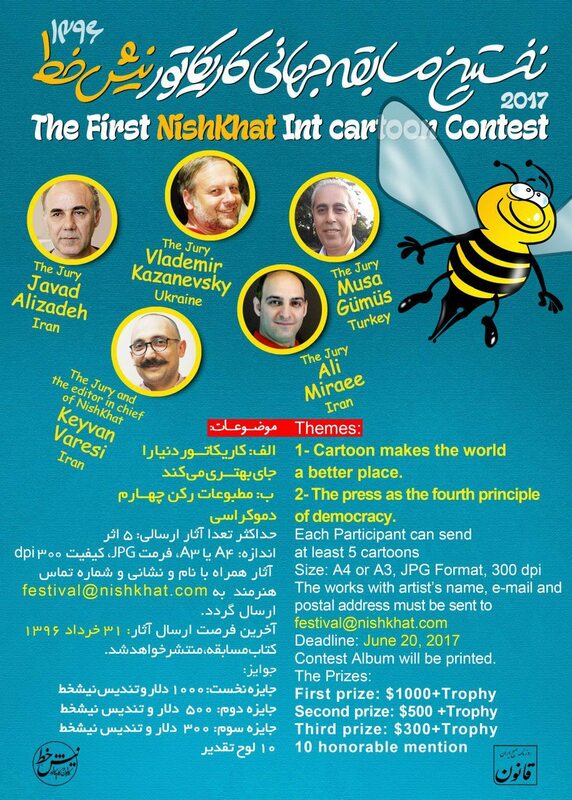 The 11th HumoDEVA ICC is an open competition for cartoonists all over the world. The participation is free of charge. 2. The artworks must be presented in a FREE THEME - MY BEST OF 2016-2017. 3. Deadline: May 3, 2017. 4. You can submit max 10 works, made in 2016-2017. The cartoons must not contain text. 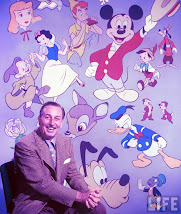 The name of the cartoons must contain the entrant’s family name, first name, country and title of work (in english). Example: JOHN Doe - Romania - Victory. The works must be digitized in 300 DPI resolution, RGB, JPG format, with the maximum limit of 3 MB. 5. Please send at the e-mail address humodeva@gmail.com your cartoons, your photo or caricature and a short biography in English, including date of birth, education, profession, awards, publications and exhibitions. 6. 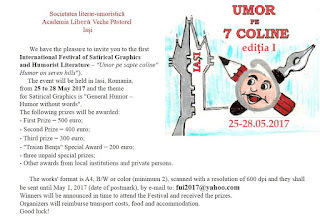 The cartoons selected for the contest will be exhibited free of charge on the HumoDEVA 2017 web site for the attention of all cartoonists to prevent similarity, copying and stealing. Any cartoon which is similar, copied or stolen will not be awarded. The contest results will be announced on the HumoDEVA 2017 web site. 10 EXCELLENCY Special Honor Diploma and a Personal Gallery on BestCARTOONS.net. The prizes can be paid in Deva or can be posted to the cost of the receiver. The organizer does not assume any liability regarding taxes or bank charges. The original drawings of the prize winning entries should be sent in maximum two weeks from the results announcement, well-wrapped and protected against damages. CRISAN Publishing House, Mihai Viteazu street , bl. 47, ap 1, 330091 Deva, jud. Hunedoara, ROMANIA. 8. 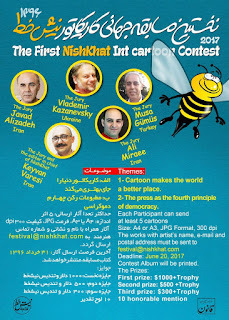 By participating, entrants grant the organizing body the right to use their entries as advertising for the HumoDEVA International Cartoon Contest and for the site BestCARTOONS.net (e.g. 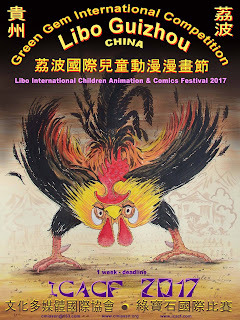 as cartoon books, catalogues, advertising in the press, internet and other media, separate promotional printed works such as posters, leaflets, etc., promotional gifts by the city council and/or cartoon contest organization, calendars, etc) without any special fees paid to the authors. 9. 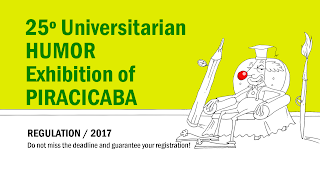 By submitting the works to The HumoDEVA INTERNATIONAL CARTOON CONTEST, the artists accept the decisions of the Jury and the rules printed above. Participants are expected to produce work that is based conceptually on the theme of revolution, whether this references specifically the events of 1917 or any other revolution in history, be it red, black-and-white or indeed of any other colour. We encourage the participants to caricature famous historical figures, making use of allegory and allusion. We will accept works employing any drawing technique, in digital format, size A4, at a resolution of 300 dpi. An individual artist may enter any number of works without limit. Collages will be judged along with cartoons in the same category. Caricatures in the form of portraits will be judged in a separate subcategory. Winners will be announced on November 7th, 2017. The Contest catalogue, poster and diplomas will be emailed in PDF format. At the close of the competition, we are planning to exhibit the best works in Barcelona. We will be happy to provide the works to those wishing to organize their exhibition at another location. 02- Only students enrolled in an under-graduate or graduate program, of any University or College acknowledged by its local government, can apply to the Universitarian Humor Exhibition. They must send the Application Form attached to a document that can prove his enrollment in a University or College. 03- Each participant can apply to as many categories as he or she wishes, with no limit regarding the quantity of works sent. However, THEY MUST BE FROM HIS OWN AUTHORSHIP AND NEVER BEEN PUBLISHED BEFORE. In the cases which these conditions are not followed, the committee will proceed with the cancellation of the application or the annulling of the awards and the mentions received. In addition, the committee may decide to take legal action against the transgressor. Obs 3: Regardless of the number of works sent by the authors (free), there will be a limit for the selection of a maximum of 03 works by each artist in each category. 05- Copies of the Application Form will be accepted if they are perfectly readable. 07- The applications will be valid if, besides the observation of the 2nd, 3rd, 4th and 5th items, are received by the Organizational Committee until May 20th, 2017. For the application by mail, the date of postage will be considered. 08- All valid Artworks applied, according to the 7th item, will be submitted, to a pre-selection process, and only these will be eligible for the awards. Obs 1: All applied Artworks can be reproduced by UNIMEP with the purpose of promoting the Universitarian Humor Exhibition. Four (04) awards in cash of R$ 1.000,00 (one thousand reais) each, indicated by the Award Jury among the selected artworks (regardless category). One (01) special/thematic Award, entitled Meio Ambiente/Centro Cultural Martha Watts-Unimed, in the value of R$ 1.000,00 (one thousand Reais), given to the best artwork that deals with ENVIRONMENTAL/ECOLOGICAL issues. One (01) special award entitled Prof. Almir de Souza Maia, in the value of $1.000,00 (one thousand reais), among the SELECTED artworks, defined by voting via INTERNET from the indication of the artists themselves/Selected authors in that edition. Obs 1: Other awards and mentions can be created by the Organizational Committee. Obs 2: CASH Prizes will only be deposited in Current Account (Individual) in the NAME OF ARTIST WINNER, who shall inform all data of that bank account to the Organizing Committee, after requested. 10- The selection of the Artworks to be presented in the Exhibition and the selection of the winners will be conducted, respectively, by the Selection Jury and the Award Jury. Members of the Jury are people with acknowledgeable talent in the area. 11- The awarded Artworks in conformity with items 9 and 10, will be considered property of the Methodist University of Piracicaba. The ownership, utilization rights and any other rights over the Artwork will pertain to UNIMEP and Centro cultural Martha Watts-Unimed, that maintains to itself the right to use it as wanted. 12- The non awarded Artworks can be withdrawn by the authors in person or by written permission to a third party in the period from August 24th to October 30th, 2017 in the same location mentioned in item 04. The Artworks can also be returned by mail; for that the author must send a written request authorizing the mailing of the work, which will be paid by the recipient. 13- The Organizational Committee and the Methodist University of Piracicaba are not responsible for eventual damage or loss of the artworks sent by mail or internet. 14- The formalization of the application will indicate that the participant is in accordance with this regulation. 15- Problems not foreseen by this regulation will be solved by the Organizational Committee and Rectory of UNIMEP. CEP 13400-911 Piracicaba-SP. Tel. (19) 3124-1611. GOLDEN HELMET ANNOUNCES XXVI CONTEST TITLED "NEGOTIATIONS"
1ST AWARD: PLAQUE GOLDEN HELMET...600 €...ONE-MAN EXIBITION IN 2018. SPECIAL AWARD RADE BRKA...200 €. Jury decision will be announced on 12. 02. 2018. Awards will be handed at Final Festival Evening on April 1, 2018. Festival official langauges are Serbian and English.